Playing with Papercrafting: Paper Pumpkin Goes Pink!! 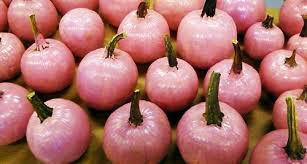 No, those aren't red onions, they're Pink Pumpkins! And why am I showing you such an odd picture? It's because I want you to help Stampin' Up! stamp out Breast Cancer! 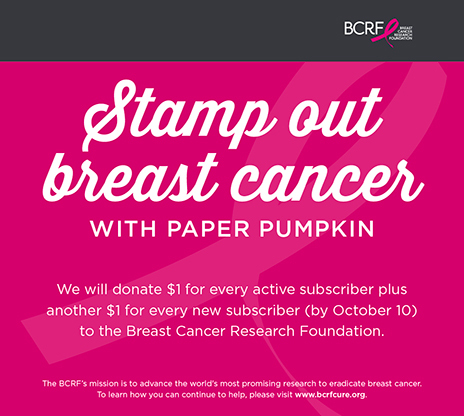 From now until October 10th, Paper Pumpkin will donate $1 for every active subscriber and another $1 for every new subscriber! This will be a sizable donation to the Breast Cancer Research Foundation! My own mom died of Breast Cancer when I was in my early 20s, but I believe she would have lived to see her grandchildren, if the treatments we have now were available then! We've come so far! But the goal of BCRF is to eradicate breast cancer altogether! I'm all for that! How about you? If you are already a subscriber you know the great projects that get delivered to your door once a month with everything you need to complete a paper project worth pinning! In fact, if you are not a subscriber yet, you can check out past projects in a couple of places: Facebook and Pinterest! I know you'll be impressed! Follow the links above to purchase Prepaid Subscriptions or go to My Paper Pumpkin to sign up. I'd be honoured if you would choose me as your demonstrator, if you don't already have one. 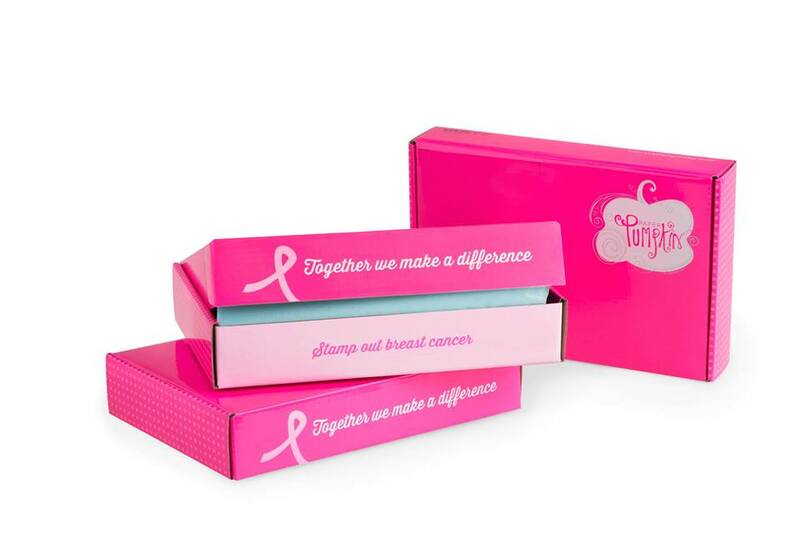 Get a PINK box and help stamp out Breast Cancer!